Chile sugar levy success: Could others “take heart”? You are in : All News > Chile sugar levy success: Could others “take heart”? An international research team, led by academics from the University of York, carried out the study which involved analyzing household grocery purchasing data from Chile. The authors of the report conclude that despite the tax incentive being comparatively small, there are signs that purchasing of beverages with higher sugar content declined, particularly among high socioeconomic groups. The study revealed an overall 21.6 percent decrease in the monthly purchased volume of the higher taxed, sugary soft drinks. Among middle and high socioeconomic groups, the monthly purchased volume fell by 16 percent and 31 percent, respectively. There was a 12 percent reduction in purchase volume for the low socioeconomic group. Chile’s policy came into effect in 2014 and targeted any non-alcoholic drink where colorants, flavorings or sweeteners have been added. For beverages with a combined sugar concentration of 6.25 grams per 100ml or more, the existing tax was increased from 13 percent to 18 percent; while for those below this threshold, the tax was decreased from 13 percent to 10 percent, producing an 8 percent tax difference. For example, the tax change, if fully transmitted to the consumer, would increase the prices of a 500ml sugary beverage from 500 pesos (US$0.77) to 525 pesos (US$0.81). It would also drop the price of an equally priced non-sugary beverage to 485 pesos (US$0.75). By contrast, the volume of non-sugary soft drinks, for which the tax rate had been decreased, showed no increase in purchased volume for any socioeconomic groups. “The results suggest that the Chilean tax policy may have been effective in reducing consumption of sugary drinks, though not necessarily to reduce socioeconomic inequalities in diet-related health,” says Marc Suhrcke, Professor of Global Health Economics at the University of York. “Our results suggest an overall reduction of sugar consumption after the implementation of the tax in Chile. From a public health perspective, even a small reduction in sugar intake at the population level could lead to significant health gains,” says Professor Cuadrado from the University of Chile. The study is published in the journal PLOS Medicine and involved collaboration with colleagues from Hitotsubashi University, Tokyo; The University of Chile, Santiago and the Luxembourg Institute for Socio-economic Research, Luxembourg. Sugar taxes are an increasingly effective method used by governments around the world to tackle rising obesity levels and combat sugar reduction. In April, a much debated UK sugar tax came into effect, pushing up the price of sugar-sweetened soft drinks across Britain. It has two tiers; a lower rate of 18 pence per liter for beverages with a total sugar content between 5-8g per 100ml and a higher price of 24 pence per liter for drinks with total sugar more than 8g per 100ml. Shortly afterward, Ireland also implemented its own sugar levy in a bid to encourage consumers to opt for healthier alternatives amid obesity problems in the country. Ireland’s tax increases the price of popular sodas, adding 30 cents per liter to the cost of soft drinks containing more than 8g of sugar per 100ml. Although it is early days, the burning question in Britain is what impact will the implementation of sugar levies have on consumption there? The research team in York believes that their findings in Chile could have implications for the UK too. However, just three months after it has come in, it is a little too early to assess the impact. 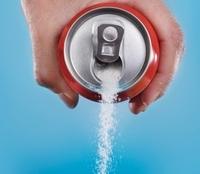 Agile businesses, manufacturers and the soft drinks industry at large has been reformulating for years ahead of the UK’s sugar tax, ramping up new product launches of low and no-sugar soft drinks. And recently, Innova Market Insights carried out a survey examining what factors influence consumers when making soft drink purchasing decisions. Coming out on top is “low/no/reduced sugar” with 32.6 percent of participants saying this is what influences them most, followed by 17.4 percent of people who said that “no artificial flavors or colors” was their key driver, closely followed by 17 percent who claimed “naturalness” is most important. Lastly, 13.4 percent said that “made with real ingredients” claims are most important. Mexico was one of the first countries to introduce a sugar tax and more than three years after it began the one peso tax on sugary sweetened drinks, there is evidence to show that fewer people are buying sodas with an overall decline of 7.6 percent. At the time of the research in 2017, the findings from Mexico were thought to encourage other countries to use fiscal policies to reduce consumption of unhealthy beverages, according to the authors of the study from the University of North Carolina at Chapel Hill’s Gillings School of Global Public Health and the Mexican Instituto Nacional de Salud Pública (National Institute of Public Health). FoodIngredientsFirst has reached out to the University of York for more information on its study. Are Chilean food regulations changing food perceptions, norms and behaviors? Sweet survey: Who are the world’s biggest sugar consumers?